I saw you were stuck in ATL. I had another friend stuck there as well - she and her husband were headed to Houston for medical treatment for him. Thankfully, his mother lives in a suburb so they had somewhere to stay. It's a reminder on how fragile our infrastructure is. Kathy - I'm glad things worked out well for your friend, too. Such a scary situation there in Atlanta. Merry Christmas! Sorry to hear you had travel woes! I'm glad you are home safe and sound. Thanks for the First Book Of The Year reminder. I hope you and your family have a Merry Christmas & Happy New Year! Pat - Can't wait to see which book you choose... Merry Christmas! I don't know what happened to my comment but it disappeared while I was typing it out! That airport situation was unreal and even though I was not in it, it did remind me of Station Eleven! Wow! Sorry about what happened at the airport. I'm joining First Book of the Year for 2018. I already have my book picked out. Vicki - I have a feeling we'll be talking about that trip for a long time. Can't wait to see what you'll be reading in 2018. Merry Christmas! I'm glad you're home...and wishing you a Merry Christmas and a very happy new year! Oh no sorry to hear you were at the airport during that time! I'm sure you were so exhausted when you finally got home. Now though to look forward to your family time! Hope you have a wonderful time! Iliana - It took us a couple of days to recover from that trip, but we are happy to be home with the entire family now. I hope you have a very Merry Christmas! 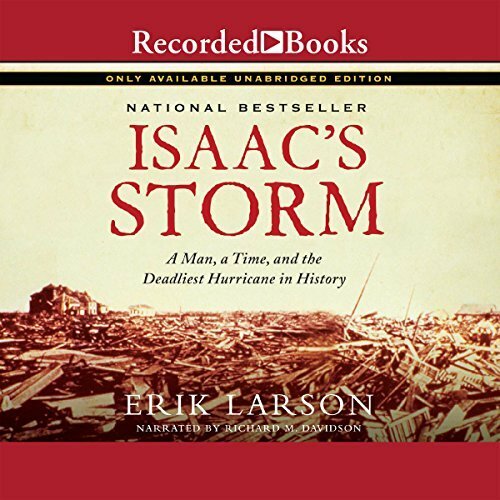 I really want to read Isaac's Storm. I know a little bit about the destruction of Galveston. It was a terrible event but it seems fascinating. Brian - The extent of the devastation in Galveston was much worse than I'd thought. 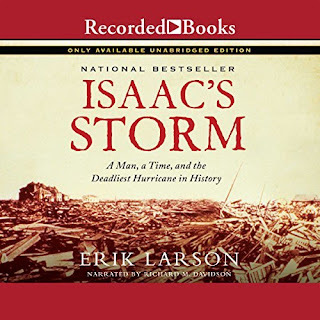 The story of the storm itself was riveting and I've long had a fascination for weather, so this book was interesting on several levels. What a fiasco! Our granddaughter flies (unaccompanied minor service) through Atlanta every summer and I can't imagine what we would do it she happened to be there during a power outage like the one you experienced! Good grief! Thankfully, she'll be 16 next summer and hopefully will be able to deal with a situation (with help, of course) like that, should it ever occur again. 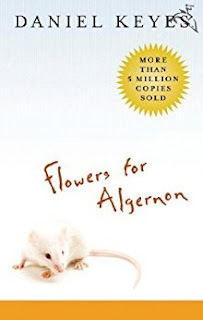 You've convinced me to get a copy of a Flowers for Algernon from the library early next month. Wasn't there a movie adaptation called Charlie? 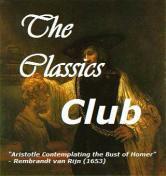 I vaguely remember watching it after reading the book. 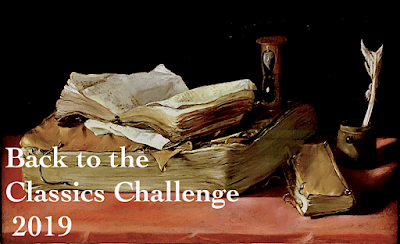 I love the First Book of the Year event and need to peruse my shelves for that special book for 2018. Merry Christmas to you and yours, dear friend. Les - The power went out around 1PM and it took them until 10PM to get everyone off the planes on the tarmac. Relatives expecting people in wheelchairs or unaccompanied minors were frantic as no info was provided. At some point during this ordeal, Delta stopped boarding unaccompanied minors anywhere in the country! So hard to believe your granddaughter will be 16... I've enjoyed seeing her grow up through your photos. Hope you and Rod have a very Merry Christmas! What a disaster the airport had to have been! But I am happy that you are safe and sound and home! Have a wonderful holiday! Patty - The airport was crazy... you definitely see the best and worst of humanity at a time like that! So happy to get home relatively unscathed. Merry Christmas to you and Den! Patty - and Merry Christmas to the Girls, too!!! Being stuck in an airport has to be very frustrating! Glad you made it out of there. Hot Milk is a book I enjoyed, although parts of it were boring, IMO. Glad you got home! That does sound like Station Eleven Part 2. The power outage seems mind-boggling. Will they get to the bottom of it? Merry Christmas to you & your family. 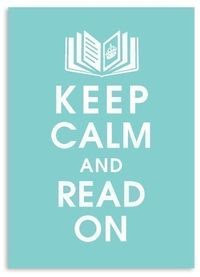 And happy reading over the holidays. Susan - The power outage was due to a fire in one of the 'sheds'... supposedly related to construction. Evidently the back-up system was in close proximity to main system and was also taken out but he fire. Not a good situation. Hope you are enjoying your holiday in California! Merry Christmas JoAnn. Looks like both of us are in for a white, white Christmas. Diane - Our Christmas was so white, it prevented us from traveling to my sister's for our family gathering. We had a very peaceful day with our daughters at home instead... it was wonderful! Vintage Reading - Hope you had a very merry Christmas, too! Merry Christmas, JoAnn. I’d venture to say you didn’t have such a strong emotional response to Flowers for Algernon as a teen. Having lived more of life and becoming a mother would make the story have more of an impact I’m sure! Cliff Robertson played the lead in the movie, Charlie and he was excellent. Try to watch it if you can. My granddaughters symphony teacher was stuck at Atlanta too and they had to postpone their Winter concert because of it. Sounds like a grand adventure to look back on! 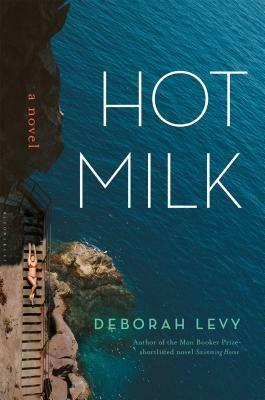 Peggy - There is a copy of the movie available through inter-library loan. Hope I can get it before we head south. The stories of our Atlanta adventure are fun to tell now that they are in the past ;-) Hope you had a very merry Christmas!